Professional and affordable New England function and wedding band, performing as a duo, or three- to six-piece band delivering high-quality live music for your unique wedding, functions and parties of all kinds. Our band travels to Boston, Massachusetts, New Hampshire, Rhode Island, Connecticut, Vermont, and Maine. One of New England’s best wedding bands for receptions, corporate events, functions, holiday parties, reunions, celebrations and special occasions since 1989. New England brides, grooms and guests appreciate our talent for blending elegance, style, sophistication and high energy while still being fun, hip and entertaining. Appealing to a wide variety of musical tastes, song selections include classic wedding reception songs, contemporary music, party music, current hits, ballads, classic hits, up-tempo classic rock and oldies. Full Master of Ceremony services and CD interludes in between sets at no additional cost, keeping music continuous throughout your event. We offer cocktail hour jazz sets and wedding ceremony music (i.e., classical pieces, special vocal pieces, et cetera). Our trio format consists of male lead vocalist and drummer, male bass guitarist and backing vocal, male guitarist and backing vocal. Additional musicians such as female vocalist, keyboards, saxophone, or second guitarist are included as requested. 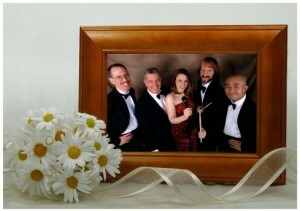 Our experienced musicians ensure your wedding reception is memorable and fun! 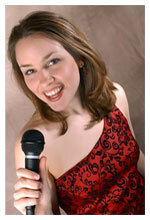 Quality professional wedding music to fit your budget! Cover Rock Band: Classic and new danceable rock. Blues Band: Classic and current blues and R&B. Jazz Trio: Instrumental classic jazz standards, current jazz and original jazz. Acoustic Duo or Trio: Cover and original acoustic rock, funk, R&B, blues and pop. Acoustic Jazz Duo or Trio: Instrumental classic jazz standards, current jazz and original duo jazz on guitars, voice, and percussion. Acoustic Blues Duo or Trio: Classic and current blues and R&B. Solo Acoustic Guitar (& voice): Solo cover and original acoustic rock, funk, R&B, blues, folk and pop. Solo Acoustic Guitar: Instrumental jazz, classical, rock, funk, R&B, blues or pop. “All Ages” Entertainment: Many styles can be presented in a performance appealing to teens, adults, children and seniors. Alan and the Alligators work with some of the finest live wedding band music agencies and entertainment talent agencies in the Boston, Massachusetts, and New England area. If you’re planning your event with a music agency that sent you to our website to learn more about us, we respectfully request you obtain our price quotes and availability through that agency. If you’re planning your own event without an agency, you may please contact us directly. We look forward to hearing from you to discuss how we can make your wedding or event a special day! Please feel free to email us with any questions, or to receive a complimentary copy of our Demo CD. You can also call us at 978-369-2370. Download song list here.